Is one of the employes mad at the owner? or manger? i went in for a price on starter brushes, 10bucks or so they said have to order them in. no prob. BUT a few days later my niece goes in as for the same thing, she is told 80 bucks, "can i order them" guy tells her no these are the only ones and 80 bucks please. FYI an entire starter rebuild kit up at Canadian tires is about 20 bucks(brushes brush holder and bearings) and few other pieces. Heck even a new starter at Canadian tires was 111 bucks when i ask up there. come on really 80 bucks just for brushes? i think the owner/manger needs to talk to someone there. will the owner.manger read this review will they care? 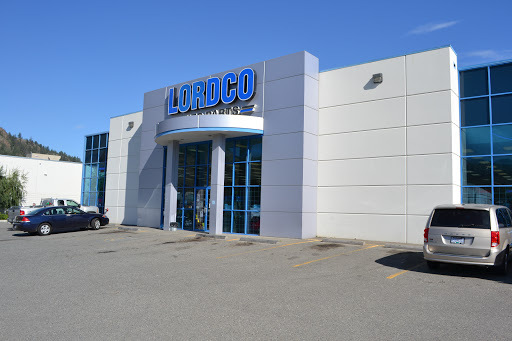 Having lived in many CITIES (not towns) where lordco has been, this one is a good size and is the largest in Kamloops. As always, service will depend on who you get at the counter - find someone with a discount or youll be paying prices often higher than most other places. the positive of dealing with these guys - they generally know what they are looking into for you, have various brands of parts, have a quick next day parts transfer (i.e. next day from Vancouver). Excellent service. The guy helped me figure out an issue and get me on my way. These guys are amazing, help me over and over with my questions! Good price. Sub par service (apparently I was a inconvenience). Knowledgeable parts staff. Good to deal with. Lots of parts in stock. Good counter people. Great stock on Automotive parts.